Warning: The images in this post is very disturbing – even more so than the ones i posted during Halloween Horrors Night Safari 2009. Do not read on if you don’t like gruesome images or is reading this in the middle of the night alone. Read on at your own risk! 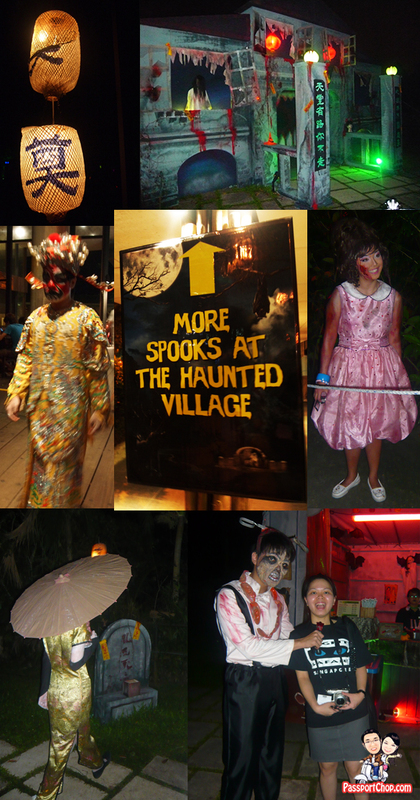 Night Safari’s Halloween Horrors 2010 theme is Spooky Tales of Asia. The characters this year is very different from last year’s Fairytale Gone Wrong. This year, Night Safari had brought to life the mythology, supernatural beliefs and chilling urban legends in Asian cultures. I won’t spoil the fun for you by revealing all the details but just be aware unlike the 2009 Halloween Horrors Night Safari, there is no dedicated section for the ghosts/zombies/vampires etc. to harass you – they can be anywhere along the tram ride. There are interesting Chinese cultural themes which you could identify with along the ride. 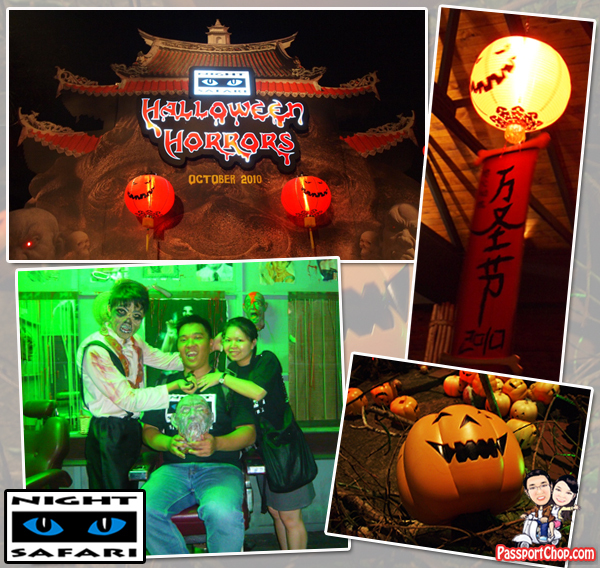 Do check out the details the Night Safari Halloween Horrors team put in for these setup. Even more scary stuff awaits you along the Trail of the Undead – just a word of warning: look out for the very well-camouflaged green monsters in the bush/trees. They can come to you from everywhere; grabbing your feet or touching your shoulder. 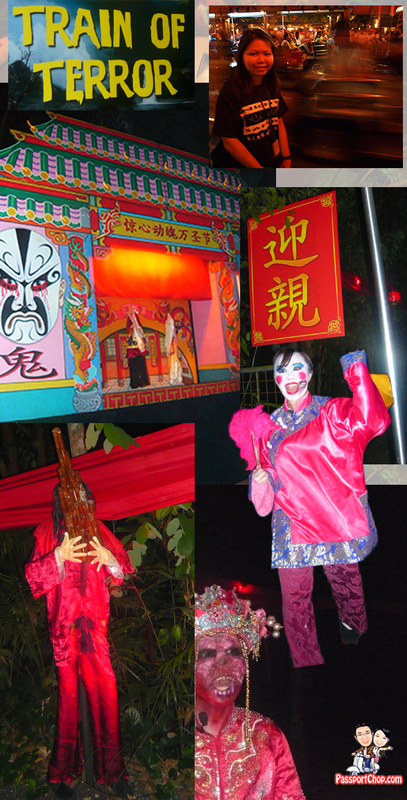 A new feature of the 2010 Night Safari Halloween Horrors is the Gui Mansion at the Haunted Village in Singapore Zoo. Your Night Safari Halloween Horrors ticket covers this part too. The story of this Gui Mansion is that it once stood here over a century ago and its inhabitants were brutally massacred by a serial killer. Some people have claimed to have seen visions of this mansion in the dead of the night and hear wailing cries for help. All sorts of scary experiences await visitors at this village, like the 1960s village barber who may snip off more than your hair. However do note that there is something even more scarier here than the characters in the Gui Mansion itself – the queue! We queued for almost 1.5 hours and the experience in Gui Mansion lasted barely 2 minutes. By the time we went in the Gui Mansion, we were too tired to be scared by these characters – the layout and design of the rooms were very detailed down to every drop of “blood” and the house is well partitioned into toilets, kitchen, bedroom etc. Hey there, I loved the blog post! and simply loved the pictures. From a very young age I have been fascinated with ghosts and ghouls and Halloween parties are never missed by me. I so wish I could come! I’m very conflicted. I love the dressing up at Halloween, but I get so freaked out by the scary looks. 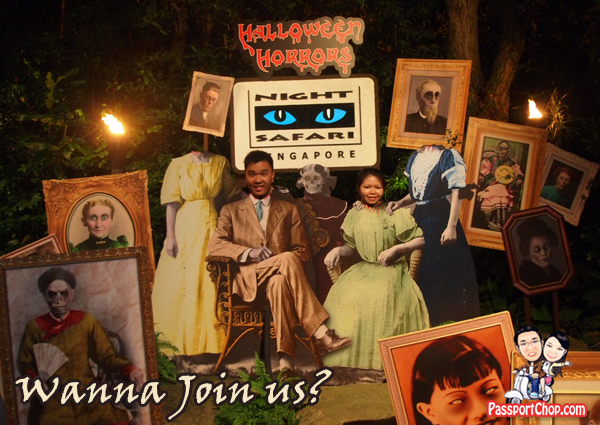 Haha.. but this Halloween party at Night Safari sounds amazing! Just dropping by to say Hi.. keep blogging! That looks like a really unique haunted house, or haunted train I guess. I’ve found that halloween attractions can either be really lame or really fun. This one definitely looks really fun. Don’t forget to pack plenty of diapers for the little ones! What a great post.thanks for the sharing.this is simply loved the pictures. Went here one time.. man, I tell y’all… I almost screamed like a girl! I’m more scared than my kids!! LOL!! ^_^ Very Convincing!!! 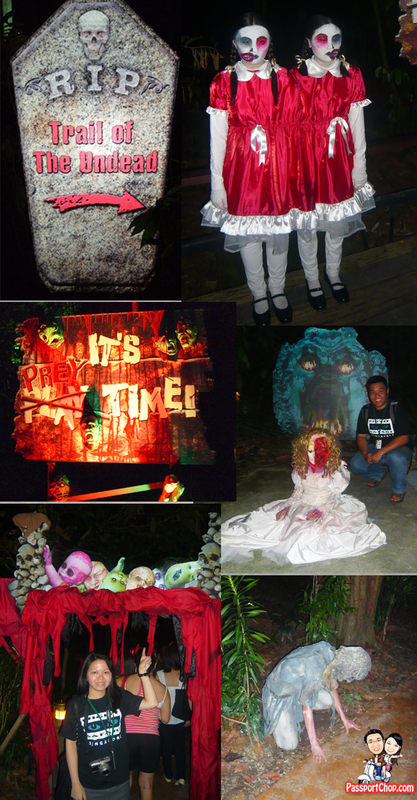 i am here last yr… is my 1st time attending halloweens at Zoo & Night Safari..is really great!